FINAL recommendations for new parliamentary boundaries that would see the Batley & Spen constituency disappear have been published. The Boundary Commission proposals, which still need the backing of MPs and peers, have been laid in Parliament and would see Batley & Spen abolished and split into two, while the Dewsbury constituency would remain largely unchanged. The existing Bradford wards of Wyke and Tong would become part of a new ‘Bradford South East and Spen’ constituency which would include Birstall & Birkenshaw, Cleckheaton, Heckmondwike, and Liversedge & Gomersal. 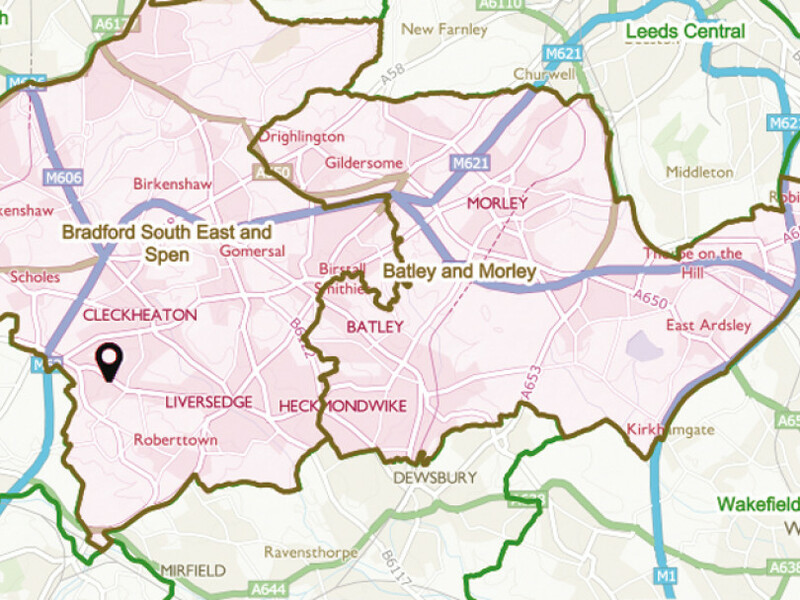 The Batley wards (East and West) would become part of another constituency, called ‘Batley and Morley’. Current Batley & Spen MP Tracy Brabin says she’ll vote against any changes. If the plans are implemented, the Labour politician would be left with the dilemma of which of the new constituencies she would choose to stand in. Previous reports published in 2016 and 2017 set out initial plans for re-drawing the boundaries and, despite protests from constituents and affected politicians, commissioners decided not to make any changes to their proposals locally. In a report out this week the Boundary Commission said: “There was some opposition to our proposals for the Spen and Batley and Morley constituencies, with suggestions that the existing Batley and Spen constituency should remain unchanged. The reduction in the number of parliamentary constituencies was meant to happen while the Coalition government was in power between 2010 and 2015. But it was abandoned in 2013 after the Liberal Democrats withdrew their support. As a result, the 2015 election was fought on the same boundaries as in 2010 – as was the snap general election in 2017. The number of constituencies in Yorkshire and the Humber will be reduced from 54 to 50, according to the proposals, with the number of MPs cut from 650 to 600 overall. As well as reducing the number of seats, the review aims to make constituencies more equal in size, in terms of their total number of voters – between 71,031 and 78,507. If MPs reject the proposals, the next election will be fought on demographic data from the 2000 electoral register and will not take into account changes in the 18 years since then. Leading Tories have insisted the current system is weighed against them and the boundaries – decided by population figures – are out of date. But Tracy Brabin said: “I do not believe these boundary changes are good for West Yorkshire. The need for support from MPs is increasing at a time when legislation is becoming more critical, so now is not the time to be decreasing the amount of scrutiny on the government. “I will be voting against the proposals and I am hopeful a majority of my parliamentary colleagues will do the same. The final recommendations can be viewed at www.bce2018.org.uk.